Running is in my blood and and being a running coach comes naturally to me, which is why I started eRun Coach. Whether someone needs help as a beginner for weight loss, to reduce injuries or to improve their race times, I instinctively know how to help them. 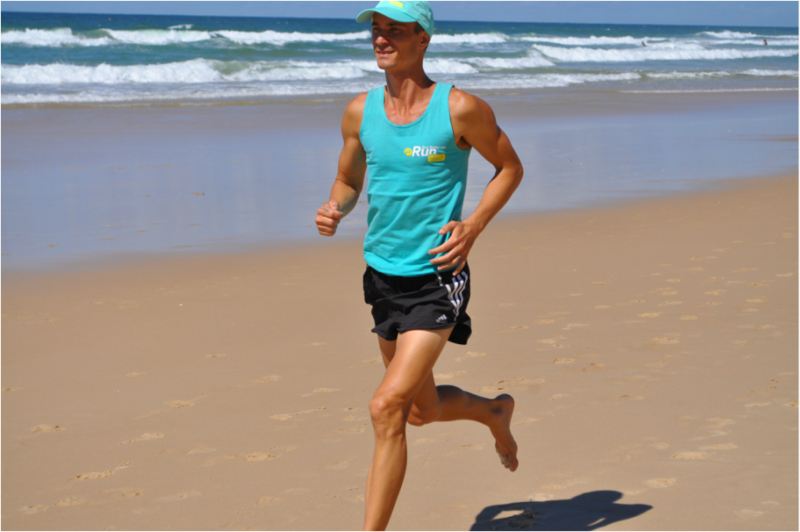 I am a fully qualified educator (Bachelor of Education) and middle and long distance running specialist coach (level 2 Accredited Athletics Coach) with the I experience and knowledge to help YOU achieve your full potential. I meet a lot of runners who complain about injuries, want to run faster or improve their race performance and I am surprised that they often don't have a structured training program. In my experience, having a unique program, designed specifically for the individual runner, is essential for injury free running success. My expertise extends to running shoes and love helping clients find the most comfortable and supportive footwear for their feet. I can tell a lot about a person's running style and the shoes they wear just by looking at their footprint in the sand. I have personally embraced barefoot running because it allows me to be more in-tune with my body and my natural running style. On my barefoot journey I discovered Correct Toes, which I highly recommend to realign the feet. I have used this product for the past 12 months and am blown away by the difference they have made to my running and their ability to dramatically reduce my chance of injury. From there my interest in healthy foot products has grown and I am now proud to be selling Injinji Toesocks, Ahinsa and Lems Shoes. I've had great feedback from my clients about these products and the demand for high quality footwear that respects the natural foot shape is growing. Home for me is Peregian Beach on the Sunshine Coast with my family. Since becoming a Dad I am especially interested in children's shoes and preserving the natural foot structure. ​The products in our store have all been tested by me and are some of the best products in the world to support natural running and healthy feet. Visit our Store to learn more.